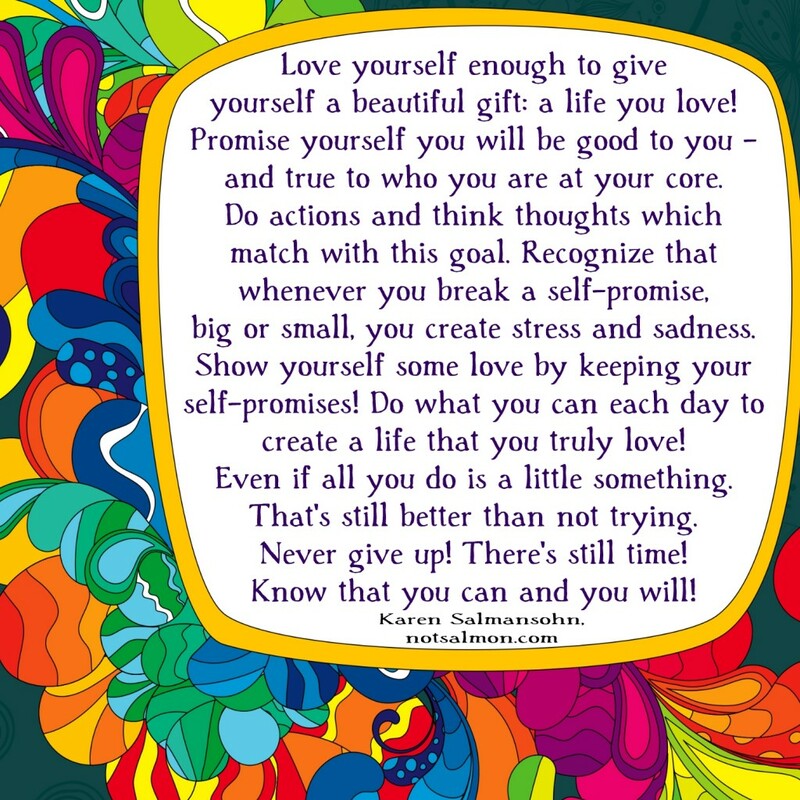 Love yourself enough to give yourself a beautiful gift: a life you love! Promise yourself you will be good to you – and true to who you are at your core. Do actions and think thoughts which match with this goal. Recognize that whenever you break a self-promise, big or small, you create stress and sadness. Show yourself some love by keeping your self-promises. Do what you can each day to create a life you truly love. Even if all you do is a little something – that’s still better than not trying! Never give up! There’s still time! Know that you can and you will!